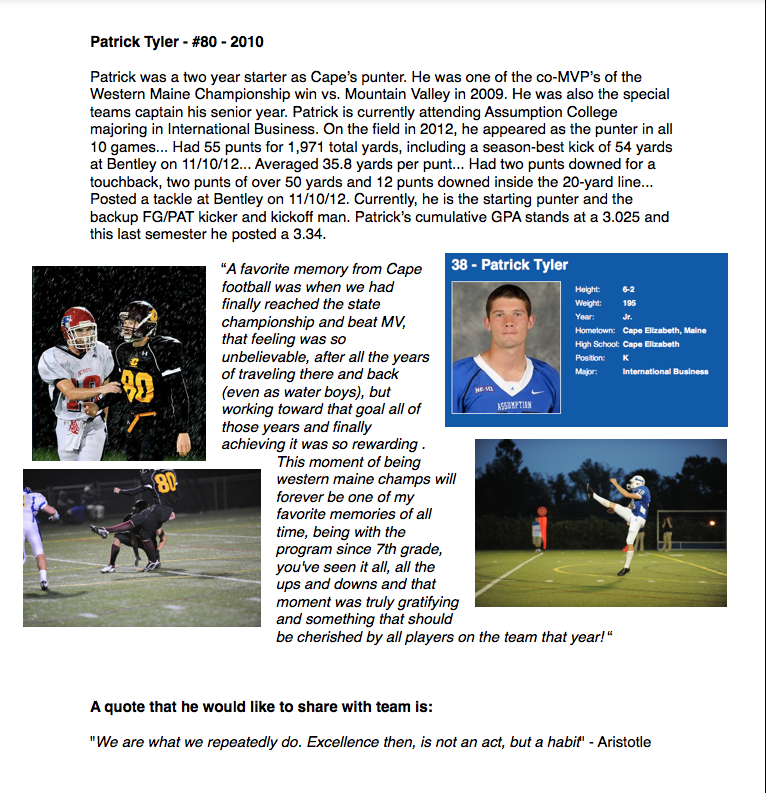 • Patrick Tyler of Cape Elizabeth recently completed his sophomore season as the Assumption College punter. 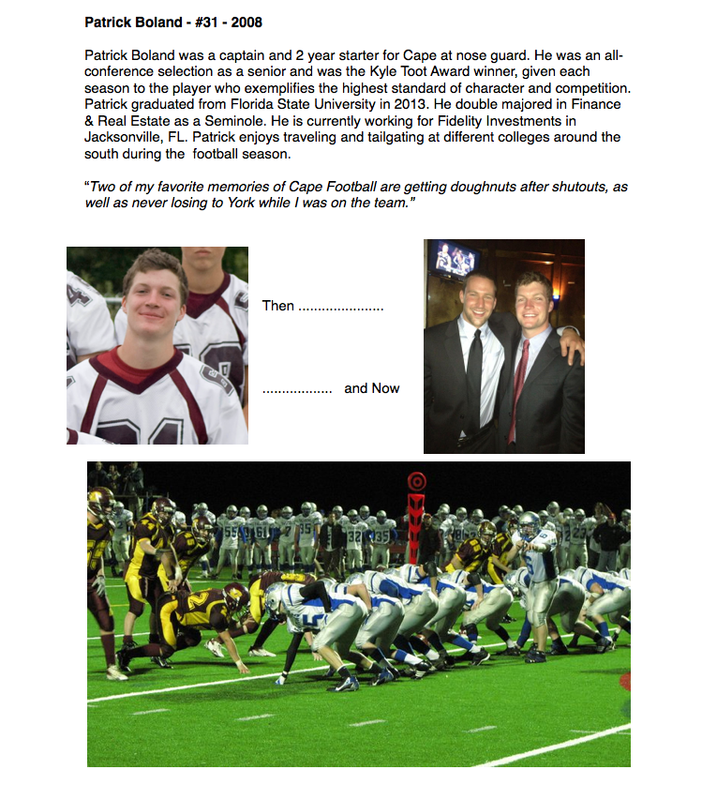 Tyler averaged 35.8 yards per punt, with a long of 54 yards and 12 kicks inside the opponents' 20 as Assumption went 3-7. 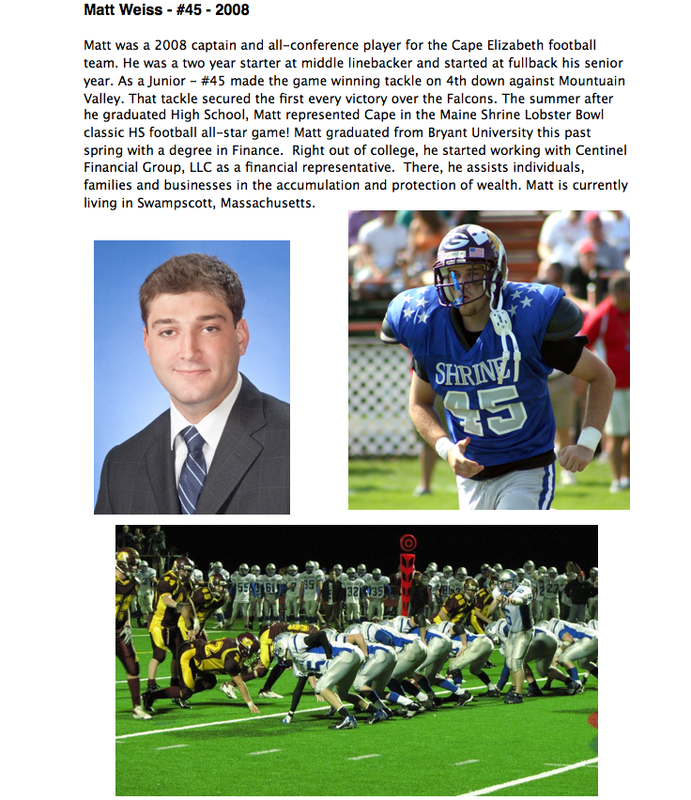 • Cape Elizabeth freshman offensive lineman Andrew Lavallee played in eight games, at times lining up as a fullback. 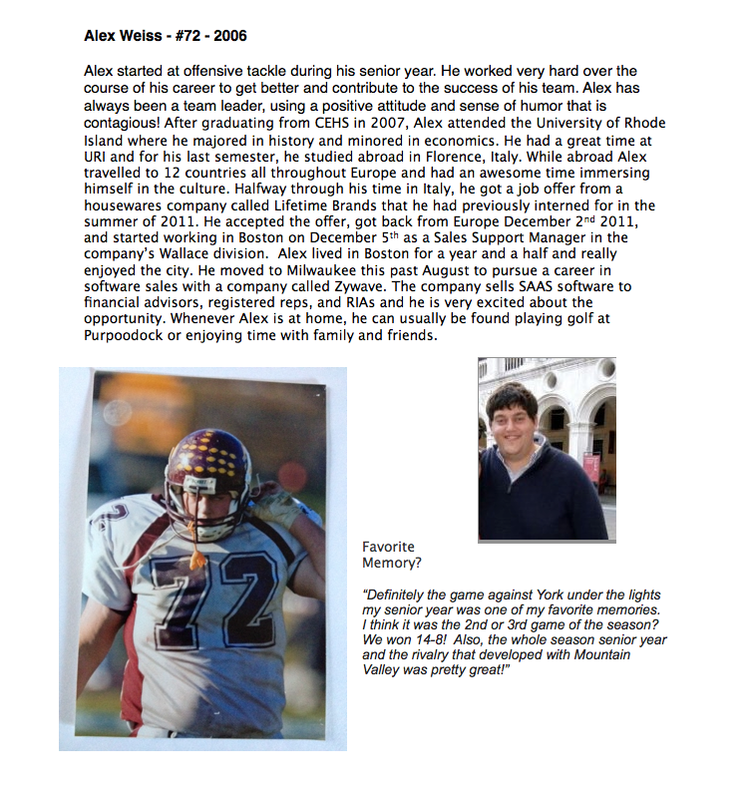 Sean finished his Junior year at Springfield College ranked #3 academically in his class. He also finished his junior year with his 2nd consecutive "King Roach" award. This year, the team leads D-III in total offense and his QB is the division's leading scorer. 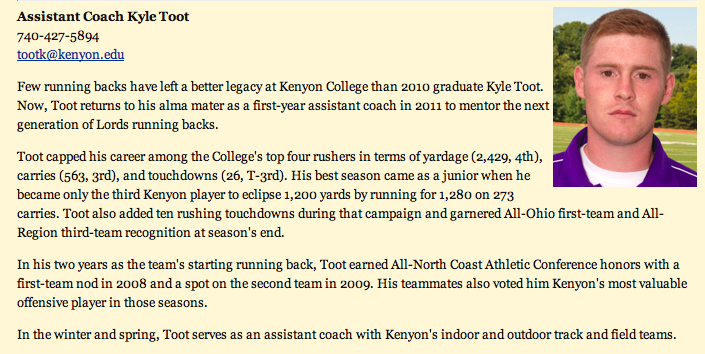 Kyle Toot (2005) named assistant coach at Kenyon College!